New Delhi, September 5: Faced with a growing number of issues being discussed on social media platforms, the Army is establishing a new setup for handling social media and also a new ‘app’ called ‘Arpan’. The ‘app’ will perform multiple tasks related to service conditions and requirement of soldiers, besides ensuring that fake and mischievous information is not spread. A cell already handles the Army’s social media outreach. The Army has a vibrant social media presence with more than 11 million followers on Facebook, 5.6 million on Twitter and another 1.23 million on Instagram. 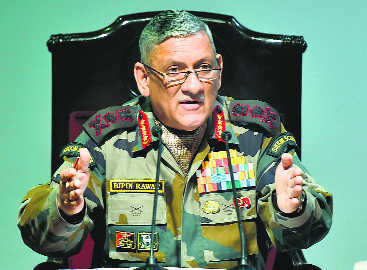 Army Chief General Bipin Rawat on Tuesday said, “We are focusing on establishing a new setup for social media and training of soldiers.” He said troops could not be prevented from using the social media and smartphones, so it was best to allow them, but with discipline. There is an existing social media use policy of the forces that bars posting pictures of oneself in uniform, unit names, numbers or locations.